This is Mike Kunkel’s exciting Captain Marvel series for DC Comics’s all-ages line of comic stories. Welcome to the world of one of comics’ most beloved characters… Captain Marvel. Written and illustrated by Mike Kunkel, this is the launching of his critically acclaimed all-ages series for DC Comics. Come enjoy the adventures of Billy Batson, his sister Mary, the wise wizard Shazam, the evil Black Adam, and of course the heroic Captain Marvel. 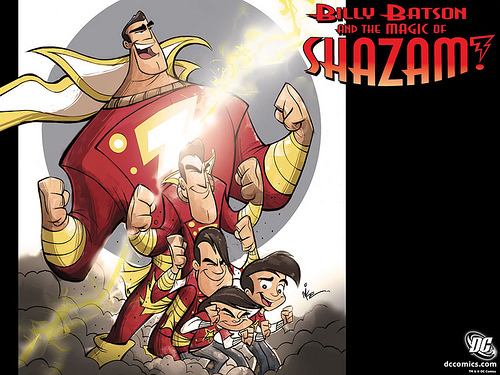 Just shout the magic word… SHAZAM! Sample Pages . . .